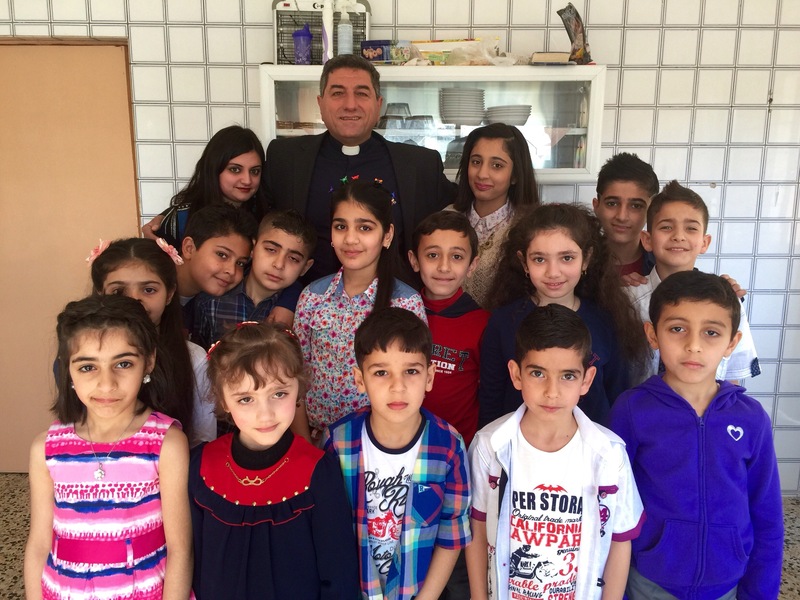 Sunday School Class: Praise Chapel, Duhok, Kurdistan of IRAQ – When you look at this photo, what do you see? There’s been a lot of News talk about the extinction of Christianity throughout the Middle East. Not just the persecution of Christians but an apparent attempt to eradicate them from the land. This poses an interesting question, Can the Faith be “extinct-ed?” No, not the true Faith of Jesus. Christianity, just as Judaism, can be “holocausted”, scripture itself foretells the reality of this, especially in the last days. Biblically, the Middle East is the turf under dispute, the historic staging area for spiritual warfare. Human conflict started here and this is the place it will end. This place, this geographic locale has been hotly contested ground for millennia. According to both Old and New Testament prophecy the final worldwide struggle between the forces of good and evil, light and darkness, are acted out here with both Christians and Jews being at the heart of the struggle as the forces of evil attempt to eradicate them. It’s out of this struggle that a new world is birthed with the return of Christ. Like it or not, we’re a part of this spiritual drama and we can’t just standby and shake our heads in disgust at the atrocities of ISIS and their ilk as they rampage across Syria and Iraq while Iran and others cry out for the destruction of Israel. Ten years ago when I was challenged to go to Iraq. I felt that somehow we were about to be given an open door to the Middle East to share the Gospel of Peace, that we would find a crack into a hostile closed region. What I discovered in Kurdistan was far more than I’d anticipated. I’d stumbled into the very place that has become the place of refuge and protection for persecuted Christians throughout the region. The rest is history. History that’s being made before our very eyes and we’re a part of it. Today, we have competent leadership in Iraq fully equipped to carry out the mission; not only in Iraq but into the surrounding nations. Now take a look at our featured photo again and answer the question asked at the beginning. “What do you see?” I’ll tell you what I see, I SEE THE FUTURE! ← SPECIAL REPORT: We’re Almost There!